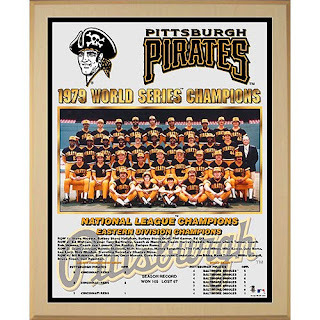 This weekend the Pirates are celebrating the 30 year anniversary of the 1979 World Championship team. That means throwback uniforms and lots of Disco music. Here are some things that happened this week in 1979. #1 song- For the week of 8/18 it was "Good Times" from Chic. It got somewhat better the following week when The Knack's "My Sharona" took over the top spot. The top rated TV show was 60 Minutes followed by Three's Company, That's Incredible, M*A*S*H and Alice. 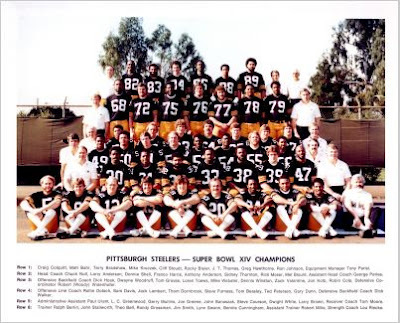 In sports, Alabama won the college football championship, Michigan State won the basketball championship, Seattle won the NBA, Montreal won the NHL and Pittsburgh won the Super Bowl and World Series. CITY OF CHAMPIONS!